New Delhi: Legendary cricketer Sachin Tendulkar and eminent scientist CNR Rao were conferred with the Bharat Ratna, India’s highest civilian award, by President Pranab Mukherjee in a ceremony in the Durbar Hall of the Rashtrapati Bhavan. The two joined the list of 41 eminent personalities, who have been conferred with the Bharat Ratna in recognition for their contribution to the society. 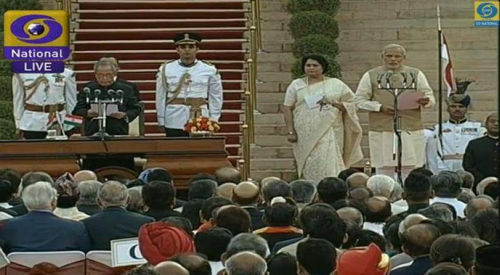 Tendulkar, who was nominated to the Rajya Sabha last year, is the first sportsperson and the youngest recipient of the award. Rao, 79, is the fourth scientist after C.V. Raman, M. Visvesvaraya and former president A.P.J. Abdul Kalam to get the Bharat Ratna. 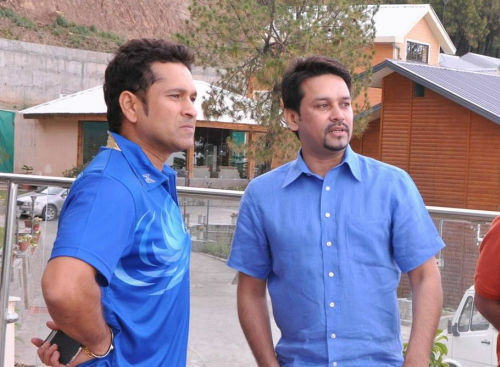 They said that country’s highest civilian award to Sachin Tendulkar will go a long way in promoting sports and encouraging sportspersons in the country. They hoped that Sachin Tendulkar would continue providing guidance to Indian cricket and budding cricketers in the years to come. Congratulating Professor C.N.R. Rao, Governor and Chief Minister said that “Bharat Ratna Award” to him will motivate and inspire scientists, researchers, academicians and students in a big way.